Why is everything we think we know about ecology wrong? Is there really any difference between 'humans' and 'nature'? Does this mean we even have a future? Don't care about ecology? This book is for you. 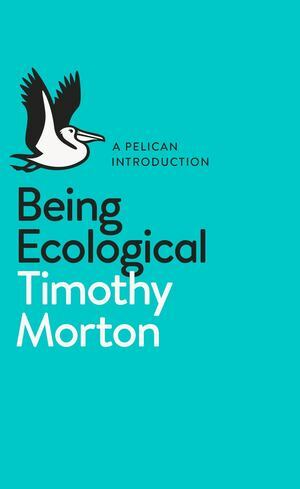 Timothy Morton, who has been called 'Our most popular guide to the new epoch' (Guardian), sets out to show us that whether we know it or not, we already have the capacity and the will to change the way we understand the place of humans in the world, and our very understanding of the term 'ecology'. A cross-disciplinarian who has collaborated with everyone from Bj#65533;rk to Hans Ulrich Obrist, Morton is also a member of the object-oriented philosophy movement, a group of forward-looking thinkers who are grappling with modern-day notions of subjectivity and objectivity, while also offering fascinating new understandings of Heidegger and Kant. Calling the volume a book containing 'no ecological facts', Morton confronts the 'information dump' fatigue of the digital age, and offers an invigorated approach to creating a liveable future.